First, the authors’ statement that deep sedation may be riskier than general anesthesia must be emphasized. Sedation, in fact, presents less possibility for monitoring and fully securing the airway. While no clear statistics exist regarding the morbidity and mortality of sedative versus anesthetic protocols, we do have concerning data illustrating the danger of modern anesthesia.1,2 This well-known danger should prompt careful attention to all procedures that involve alterations of consciousness in animals. Better education of personnel and careful preparation for all eventualities may ameliorate the risks: educated, individual, context-sensitive monitoring is overridingly important and the combination and choice of drugs and doses for a sedation protocol should be adapted to the individual cat or dog. There is no safe one-size-fits-all protocol. Furthermore, some clinical situations may require different drug choices than others. For example, if pain or nociception is involved, an appropriately chosen analgesic must be part of the protocol. Veterinarians around the world, however, do not always have the luxury of free choice of drugs. The availability of sedative, analgesic, or even anesthetic drugs may be very restricted by factors that vary by country. These may be categorized into regulatory restrictions (licensing of drugs), permission restrictions (licensing of veterinarians/clinics), and cost. Aside from impeding the best level of care, the above limitations may lead to untreated pain in animals, which is clearly unethical. The absence of dissociative anesthetic options and opioids may even lead to danger of serious injury to the patient or veterinary staff. Consequently, veterinarians and their national and international organizations should work tirelessly both within the profession and with regulatory authorities and pharmaceutical companies to further the availability of these drugs in their countries and daily clinical practice. 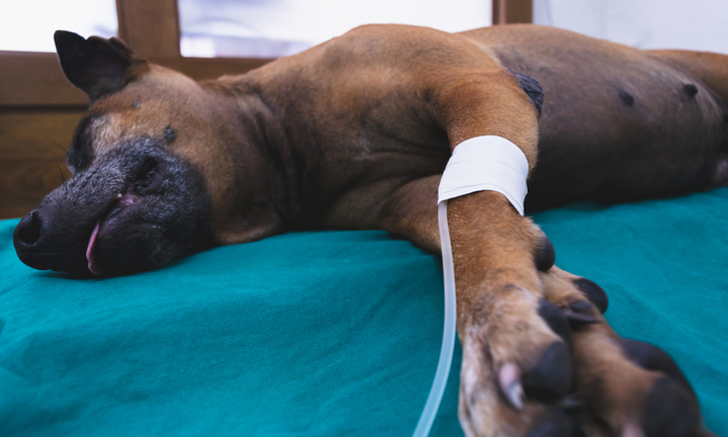 This article provides reasonable and well-thought-out options for different sedation scenarios in small animal clinical practice and as such is valuable around the world. Brodbelt DC, Blissitt KJ, Hammond RA, Neath PJ, et al. The risk of death: the confidential enquiry into perioperative small animal fatalities. Vet Anaesth Analg 2008; 35(5)365-373. Bille C, Auvigne V, Libermann S, Bomassi E, et al. Risk of anaesthetic mortality in dogs and cats: an observational cohort study of 3546 cases. 2012; 39(1) 59-68.